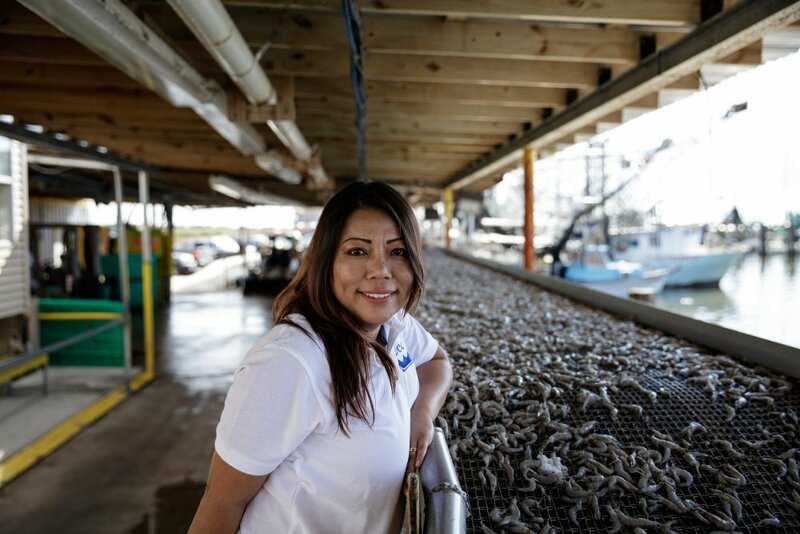 When Sandy Nguyen was growing up along the Gulf Coast in the 1990s, she remembers playing football on an open field in the fishing community of Buras, Louisiana, near the marina where her father would dock his shrimp boat. Today, that land is gone and water laps at the edge of a levee protecting a state highway and the homes of fishing families – many of them Vietnamese, Cambodian and Laotian immigrants – who earn their living in the coastal waters. 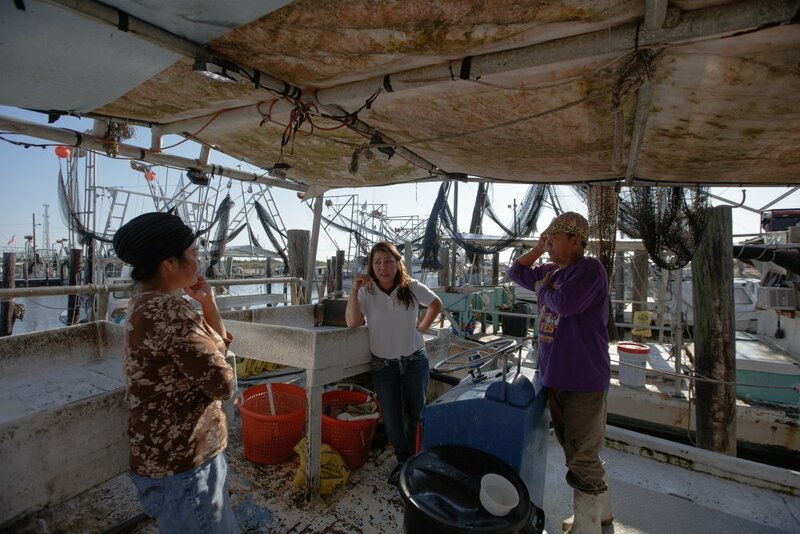 Over the past 13 years, commercial fishing communities along the Louisiana coast have been battered by a series of disasters that threaten a livelihood which depends on a healthy coastal ecosystem. Hurricanes Katrina and Rita, in 2005, wreaked havoc on the wetlands that form a protective barrier around southern Louisiana and provide rich natural habitat for oysters, shrimp, crabs and other species. Hurricanes Ike and Gustav in 2008, and Isaac in 2012, further accelerated the loss of marshes and swamps that have been steadily disappearing since the channelization of the Mississippi River. The Gulf oil spill dealt another devastating blow. For Sandy, executive director of the nonprofit Coastal Communities Consulting, the future of Louisiana’s commercial fishery depends on restoration of wetlands. Her organization works to ensure that fishers – who bear the brunt of natural disasters and rising sea levels – have a seat at the table as decisions are being made about long-term solutions to protect the Gulf. Over the past 80 years, an area roughly the size of the state of Delaware has disappeared from Louisiana’s shores. The state’s passage in 2017 of an updated $50-billion Coastal Master plan holds the biggest promise to rebuild land that protects not only small fishing villages but the city of New Orleans and 10 of the country’s largest shipping ports. Restoration comes with risk and opportunity for the fishing community. Louisiana’s plan includes several large-scale sediment diversion projects, which would reconnect the Mississippi to its Delta and restore marshlands. The projects are likely to impact the fishery – particularly oysters and brown shrimp – by introducing freshwater and altering the salinity of existing wetlands. Doing nothing, though, will lead to unmanaged impacts as further land is lost. As these diversions are approved, Sandy says fishers will need help to ease the transition and adapt to changes in the fishery that might require new licenses, different gear, longer trips and better on-boat storage. The industry also needs to understand the solid science underpinning the master plan and learn more about potential impacts, Sandy says. As restoration projects accelerate, fishers will also need access to jobs created by the work. “Anybody will tell you here that the fishermen support coastal restoration,” says Sandy, whose father was a fisherman. She is also married to a fisherman. Sandy says the key is collaboration through effective coalitions – between fishers, government, conservation groups and funders. The Walton Family Foundation provides funding to Coastal Communities Consulting to foster understanding between the official coastal restoration process and fishing communities. This includes translation services and stakeholder meetings in support of developing plans to sustain the fishing industry and communities as the state’s master plan is implemented. One of the potential tools is a loan fund for impacted fishers. I don't think anybody can rebuild this coast with more heart than our fishermen. Sandy says coastal restoration is critical to protect communities from the environmental threats of disappearing wetlands. But it’s also vital for sustaining hard-working families, who are the small business heart of the coast.